The University of British Columbia’s Centre for Sport and Sustainability and Velo-City 2012 engaged in a joint initiative to demonstrate how the event can be operated more sustainably. 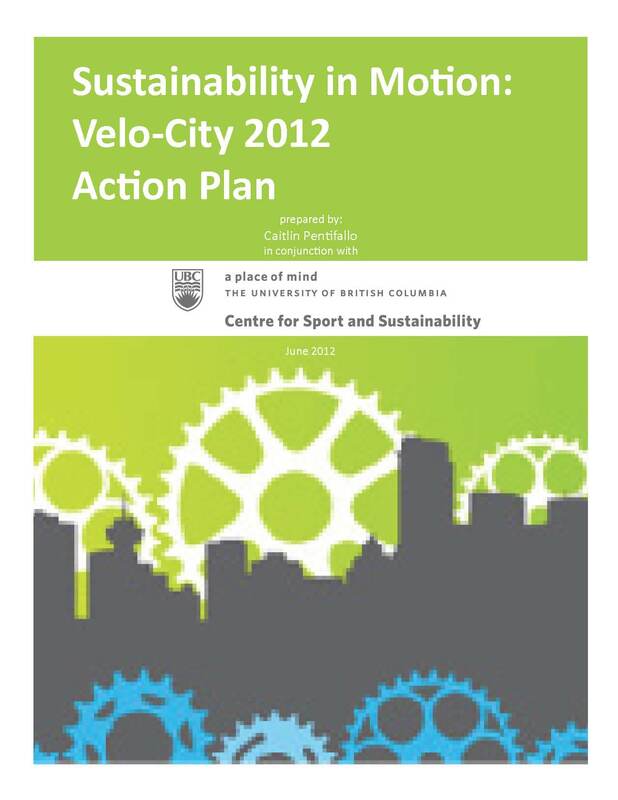 By applying Canadian Standards Association Z-2010: Requirements and Guidance for Organizers of Sustainable Events, the Centre for Sport and Sustainability and Velo-City 2012 worked together to assess potential sustainability targets, risks, and opportunities. With an eye to the future, the Centre for Sport and Sustainability recommended a range of sustainability indicators drawn from the Global Reporting Initiative’s G3.1 Guidelines and Event Organizers’ Sector Supplement to be applied in the drafting of a comprehensive sustainability report.